The Beagle mask was created for a marketing event promoting Meet the Breeds in New York City. This mask was one of many dog masks and cat masks created. The actors wearing these masks walked themselves around the sidewalks of the city. A picture of these masks opening the NASDAQ just prior to the 2008 crash. 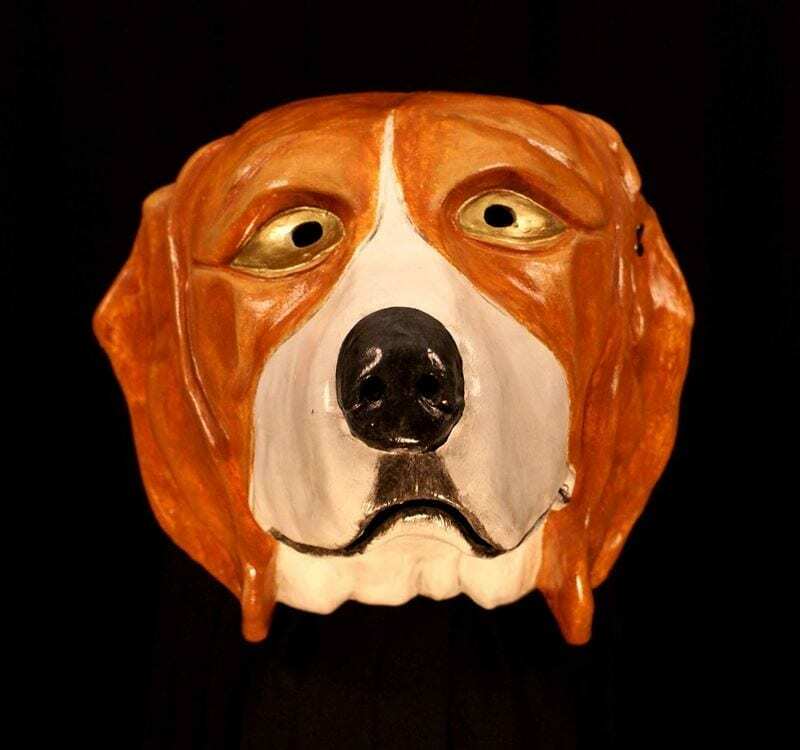 This dog masks depict the Beagle. This breed of dog has been around for over 2000 years and since the mid 1800’s in its modern form. The Beagle is a hunting breed, very smart, stubborn and a hound in every way. If you want to be walked by a dog then this mask is for you.